Everything you'll need to control windows server - on one simple dashboard! Parallels Plesk Panel is the leading hosting automation control panel on the market. 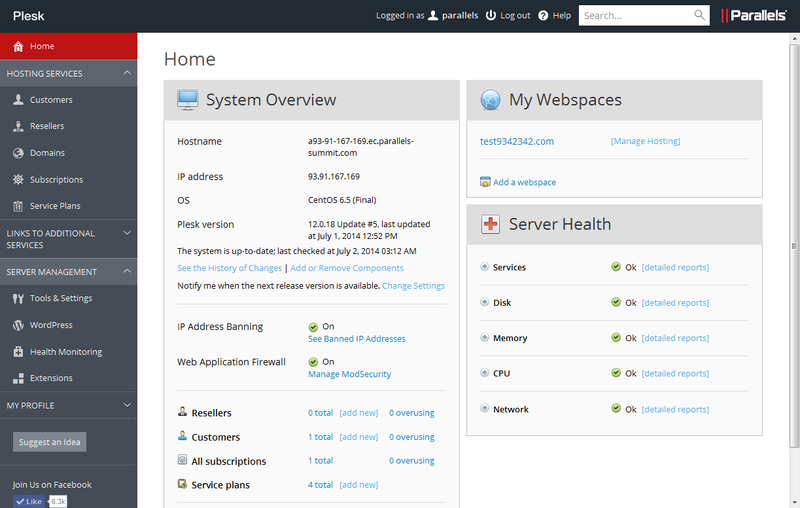 Plesk is widely used control panel for Windows Hosting platform. Plesk simplifies web management activities to align with the way infrastructure is used today for hosting websites and web applications. As the most widely used web management solution, Plesk provides everything a web professional needs to set up a website quickly and securely – including a Word Press Toolkit, an easy-to-navigate control panel, server level automation, supportability tools, and complete protection with our server-to-site security core. Parallels Plesk Panel or just Plesk in short is known as one of the most multi-functional Control Panels on the planet. It goes far beyond the capabilities of the regular web-based tools for managing the server resources your sites need to exist.